5S; Seiri, Seiton, Seiso, Seiketsu and Shitsuke are the five steps of 5S, but what is 5S (and what does it mean in English)? 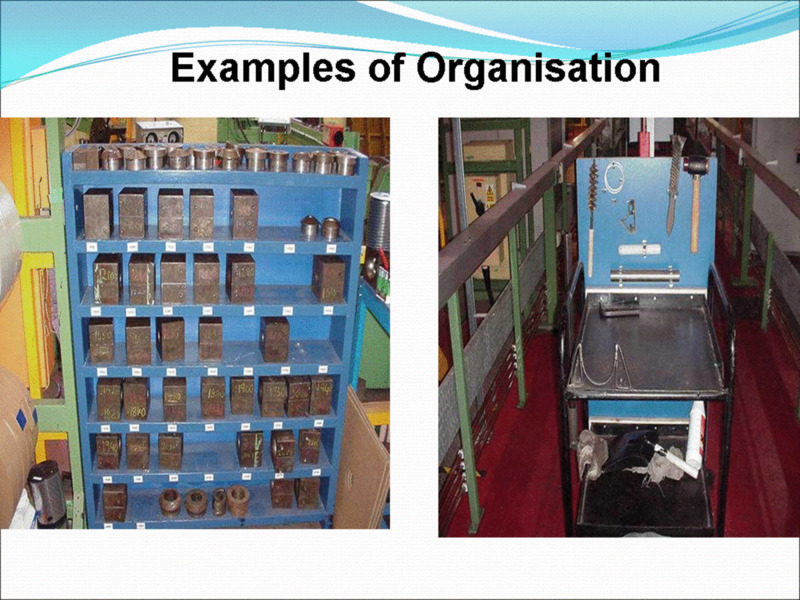 5S is a tool within the arsenal of Lean Manufacturing, it is a lean tool that helps you to organize your workspace in a manner that is more efficient, safer and more visually appealing. It is not as some people think purely a housekeeping process, this is work place organisation. 5S is a methodical, sustainable approach to work place organization that when implemented correctly can give you efficiency savings of between 10% and 30%. 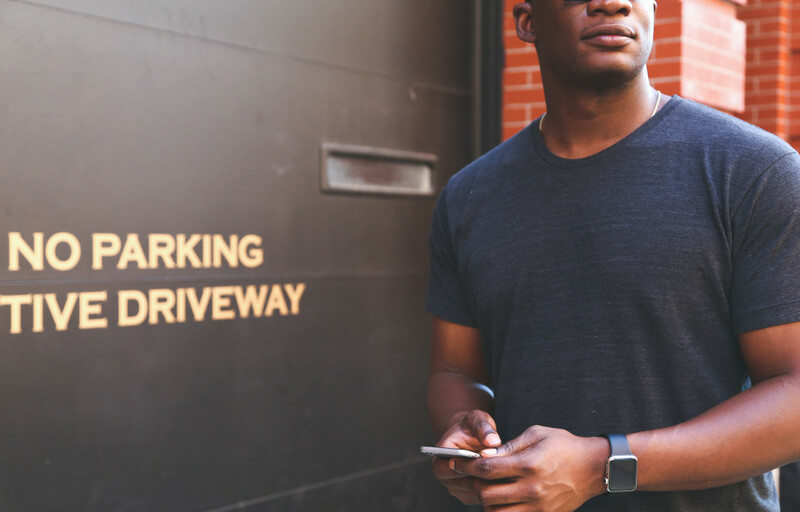 These are not the only improvements,there are many benefits of 5S. 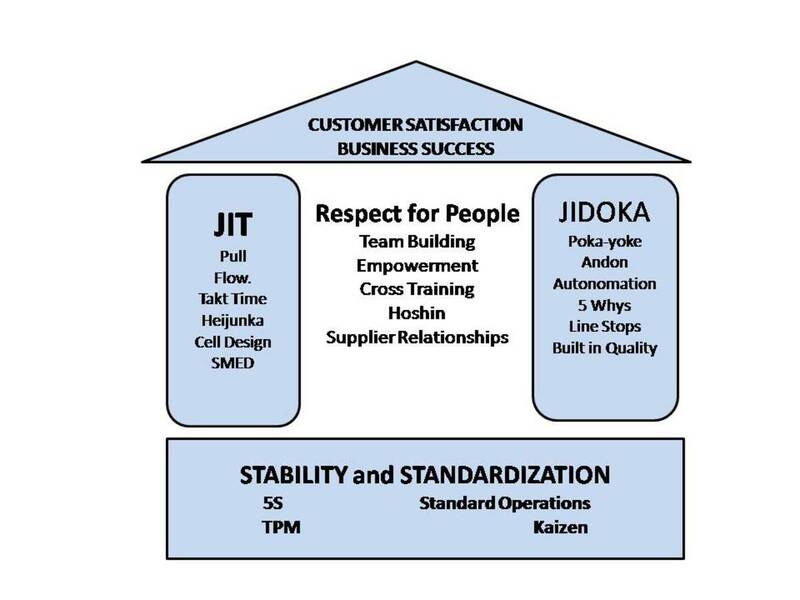 5S is not just applicable to the factory floor where most people would apply it, it is just as important to apply the principles of 5S in the lean office or even on your computer drives. The following sections will define each one of the 5S steps with some ideas regarding application and benefits. 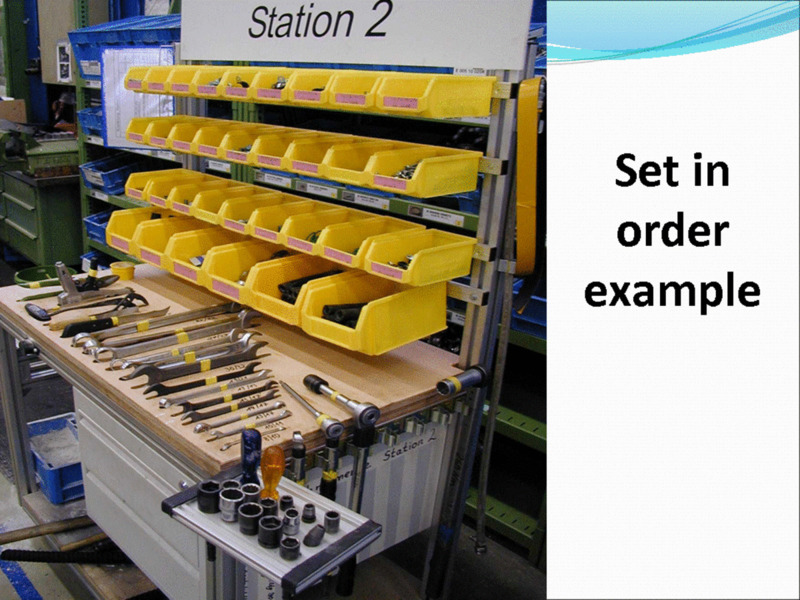 The first stage of 5S within lean manufacturing is that of Seiri or sort, removal of all clutter that is within the working area. 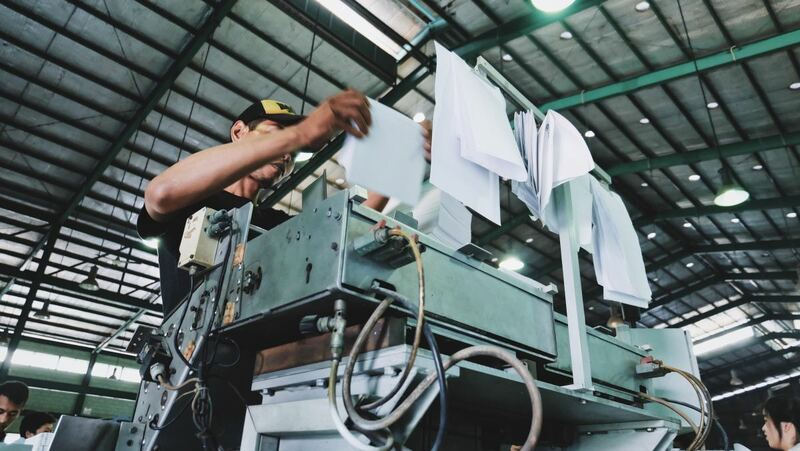 This means everything that is not needed specifically for the processes being undertaken for the area in question, old tools and fixtures, the clutter under the desk, the spare off cuts of material stacked behind the machine in case it is needed. If it is not needed on a regular basis remove it! This is a step that should be participated in by everyone. Obvious junk should be treated as junk and skipped, you don’t need it, it is just in the way. 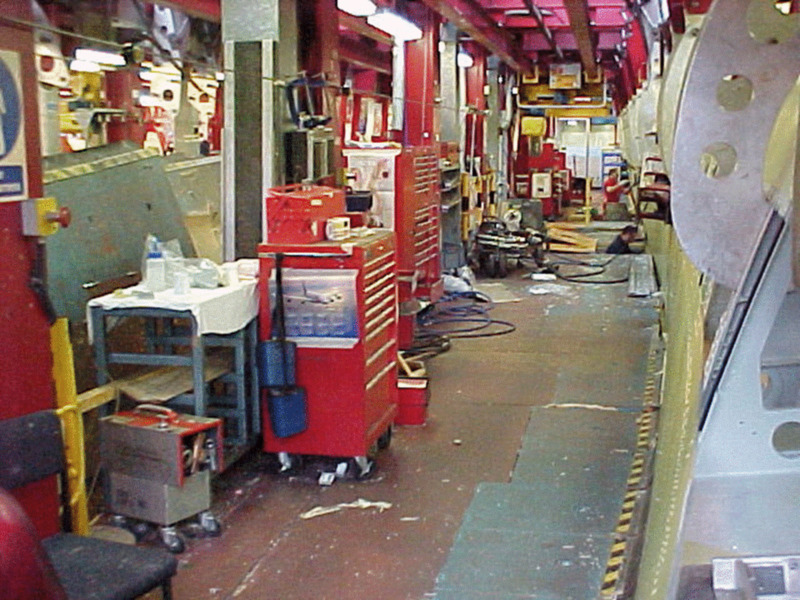 Materials and tools that are not so obvious as straight junk should be moved to a quarantine area for later classification. Items that are too heavy that are not required, in need of repair, or people are unsure of should be identified with a red tag. The volume of clutter that can be discovered during this phase is often surprising and the small amount of stuff left in the actual workspace can be a real eye opener. I have found pallets of materials that are over ten years old and unused when clearing out some areas! At the end of this phase the only items that should remain in the area are the specific tools and materials required in this area and nothing else. I will deal with the heavier unmovable items shortly. The items that have been moved to the quarantine area and the red tagged items now need to be dealt with. Pull together everyone who is involved and get a consensus agreement as to disposition. Is it junk, if so junk it! If it belongs in a different area, put it there. If it needs to be kept due to customer agreement but is of no immediate use, put it in deep storage out of the way. If it is an obscure fixture that gets used every year or two, decide if there is room in the work space, if not move it to a storage area out of the way. Decide for each item what to do with it until you have gone through them all, this may take some time as it is surprising how much clutter there is in some work spaces. 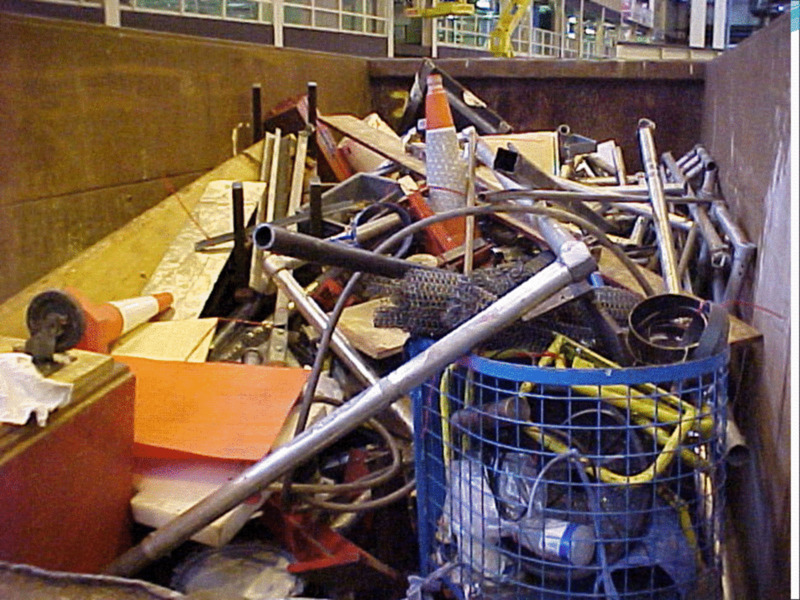 The larger heavier items agree disposition and have maintenance deal with them, remove or repair as appropriate. The second step of 5S is where we really start to make a difference to the efficiency and layout of the working environment. We now need to decide exactly where things belong and provide a clearly identified position for it. This is Seiton or "set in order", the second stage of 5S. 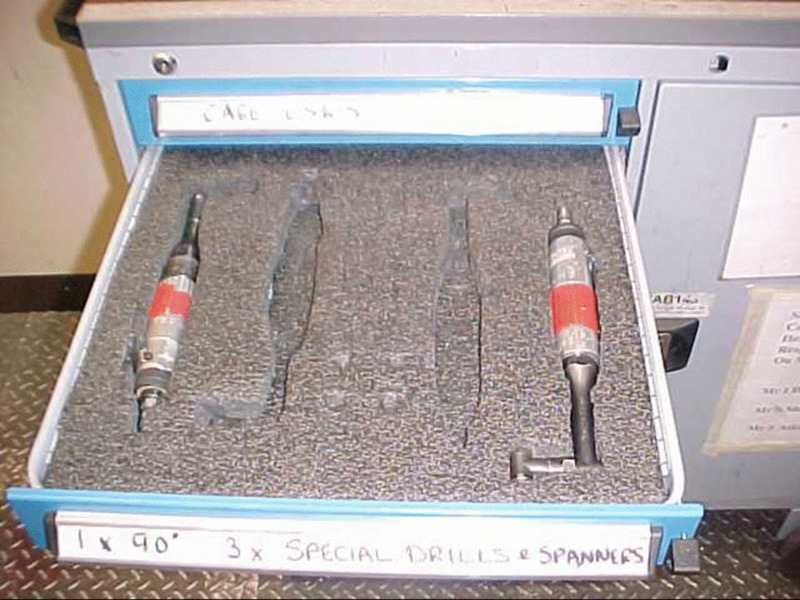 Things need to be stored as close as possible to their point of use in a location that is both safe and easy for the item to be retrieved. Those involved need to consider how the individual works and how they will reach for each item. This is where the team can really come up with ingenious ideas for improvement. 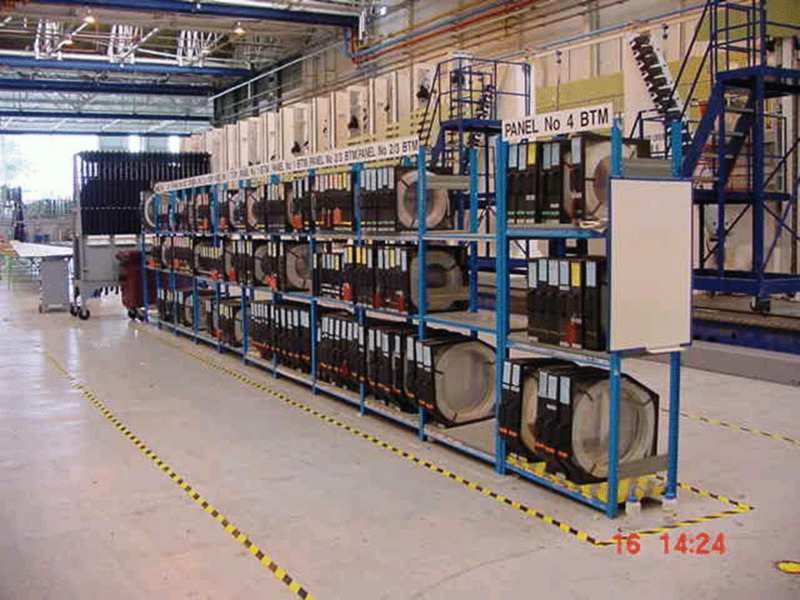 Components being fed from the rear of benches, racks of fixing with wheels that can be moved with the assembler, mobile desks and tool racks, tool pouches worn by the operator, roller tables alongside machines and tool storage so that heavy tools can be quickly put in place by hand without the use of lifting equipment and so on. Most ideas that are come up with at this stage are either zero cost or very low cost. This really starts the ball rolling for building a firm foundation for lean manufacturing implementation. The team need to think hard about when items are required and where, those items that are used the most should be stored closest to the point of use, and those used the least can be further away. Pareto’s 80:20 rule often comes into play at this point. 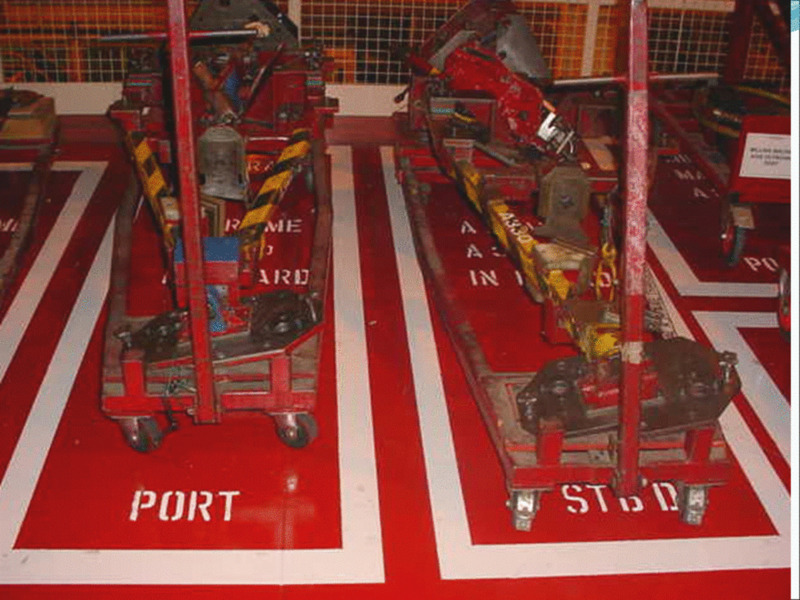 All locations should be clearly identified, either with obvious labels of spaces on shelves, highlighted painted areas on the floor to show material locations, shadow boards for tools and so on. Once this is done it will be clear exactly what belongs where, if anything is placed where it does not belong it will be obvious. If anything is missing it will be obvious, level indicators on stock items can also be incorporated at this point to help with production flow at this point. Seiso or "Shine and check" is about cleaning the workplace thoroughly, you have removed all the clutter and organized everything so that there is a place for everything and everything in its place. Now clean everything and bring it back to good condition. 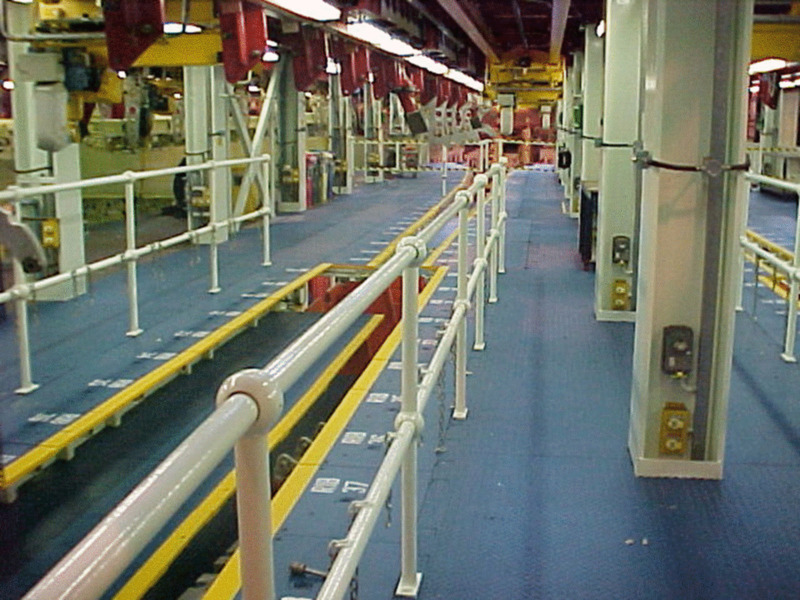 Clean machines and repaint as required, fix oil leaks, repaint floors, remove grease marks and so on. Make the place look like new! The point of Seiso or "shine and check" is not just to make things pretty and nice for you customers, this has a far more important point, it is about making problems visible. Oil leaks, waste materials etc will all become far more obvious when you have cleaned up and force you to tackle the issues rather than living with them. 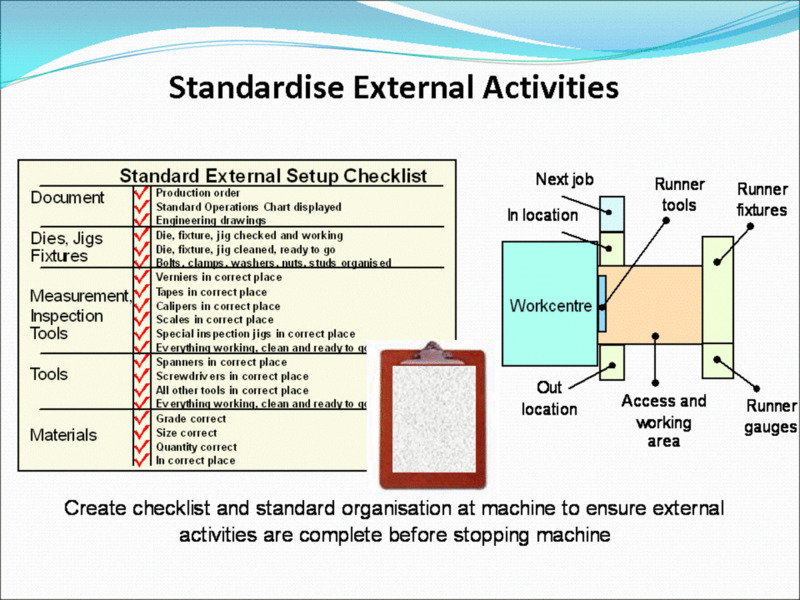 At this stage create a formalized cleaning schedule, who should do what, when, with what etc. This should be posted in the area with the materials required. As time goes on the team should consider why are they cleaning, what is causing the “dirt”, why is swarf being deposited there, is the guarding wrong, is there a way to remove it automatically and so on. The first three stages of 5S are usually worked on together over a period of a few days depending on the size of the area. The forth step of 5S, Seiketsu or standardise is about maintaining the improvements and continuously improvement. 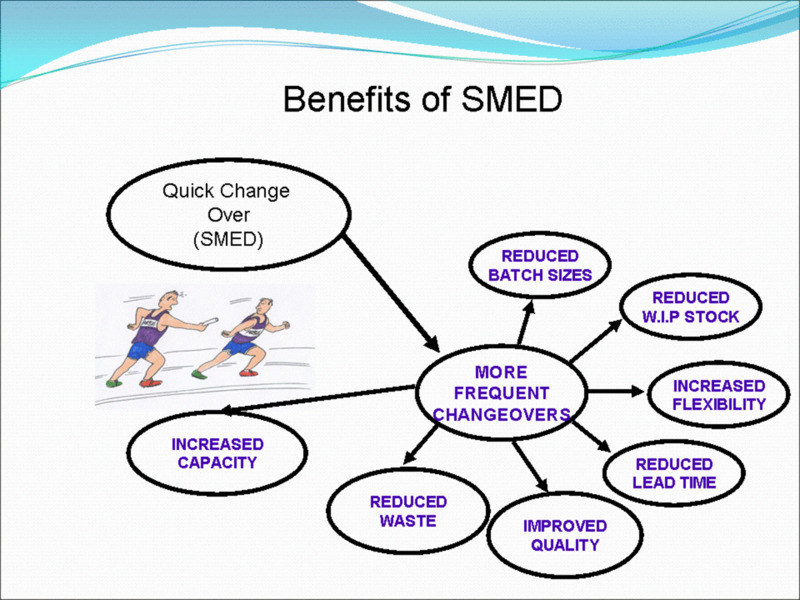 5S and Lean Manufacturing are not something that you could do last week and forget, they are process of continual ongoing improvements. 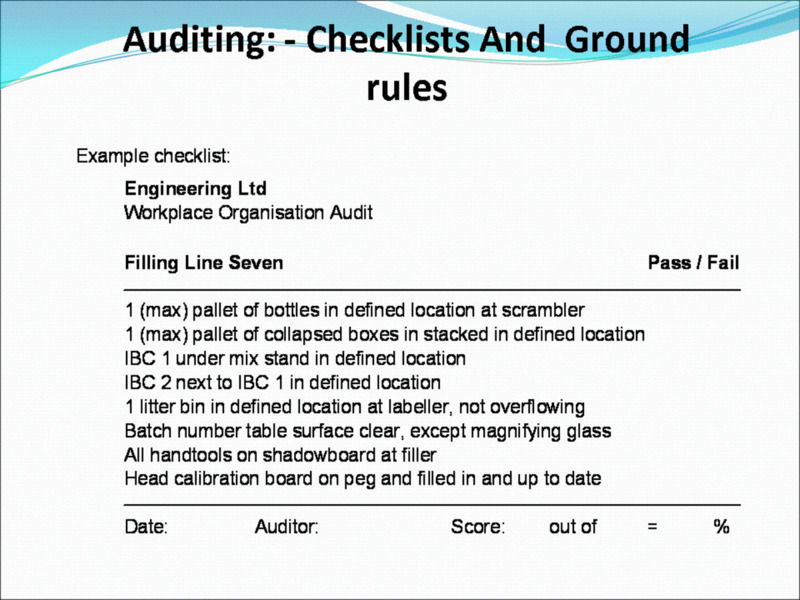 Seiketsu is usually achieved through the use of specific audits and checklists, ensuring that what should be where and how things should be done are clearly specified. These audits should be scored in such a manner as to not be subjective and conducted by someone independent to the area being audited. Audit results should be clearly displayed, along with corrective actions if necessary. 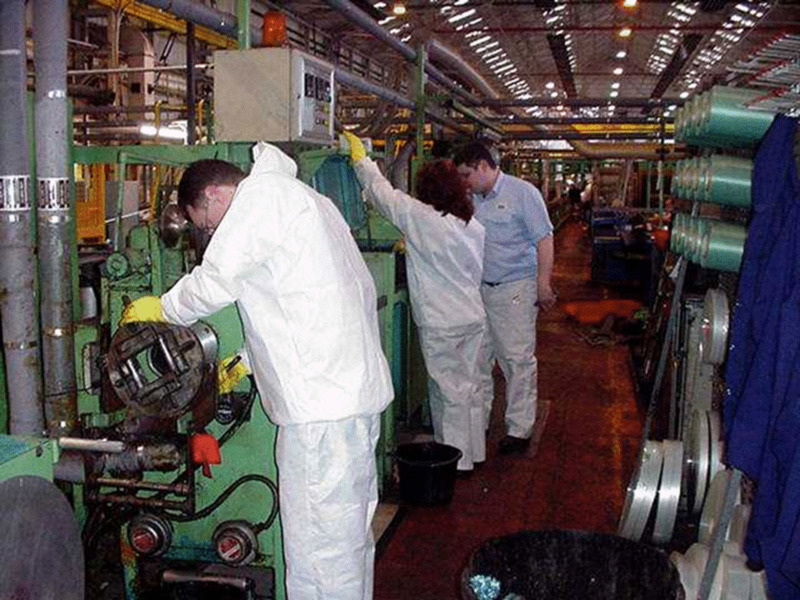 Many companies run competitions to try to get the differing areas of the company to compete in making improvements to continuously improve their levels of 5S in their lean production cells. It is not enough to just do the first four stages of 5S, many companies only manage to achieve the first 3 or 4 stages and then after a while things begin to revert and after a few years you have accumulated huge piles of clutter and things are back where they started. This is why you need the 5th stage Shitsuke or Sustain. Without a culture that drives this process and continues to make improvements these changes are doomed to fail. Shitsuke,the most avoided and most difficult stage is that of sustaining the efforts. Everyone from cleaner to the CEO should be 100% committed to making this change part of everyday life. The benefits of 5S are huge if implemented correctly, don’t lose them. This is a foundation stone to making lean manufacturing improvements to your business, it is about lean management as much as lean production. 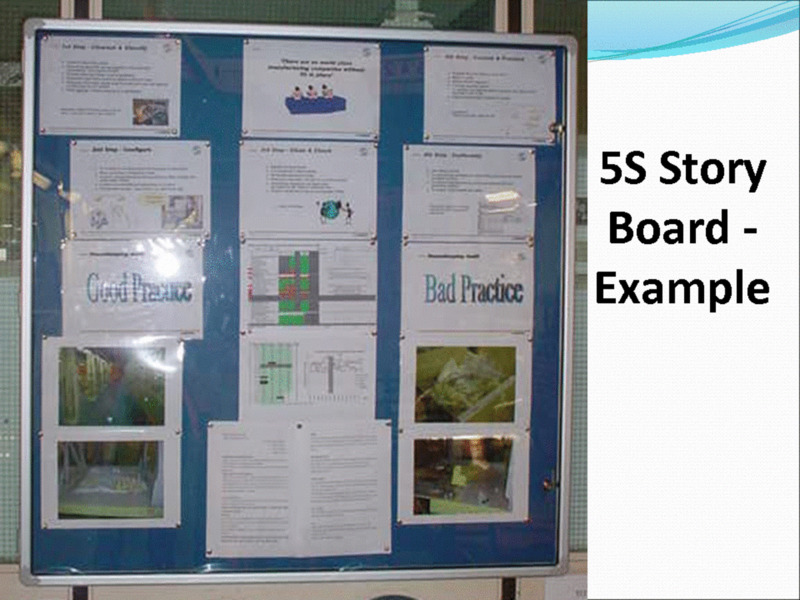 There should be a 5S “story board placed in each area showing how this process was conducted, standard operating processes, audits etc. This will maintain the memory of what was done and prompt the continuation of the cleaning, audits, etc. All management should participate in audits and in observing the cells on a regular basis to show their continuing commitment to this process. 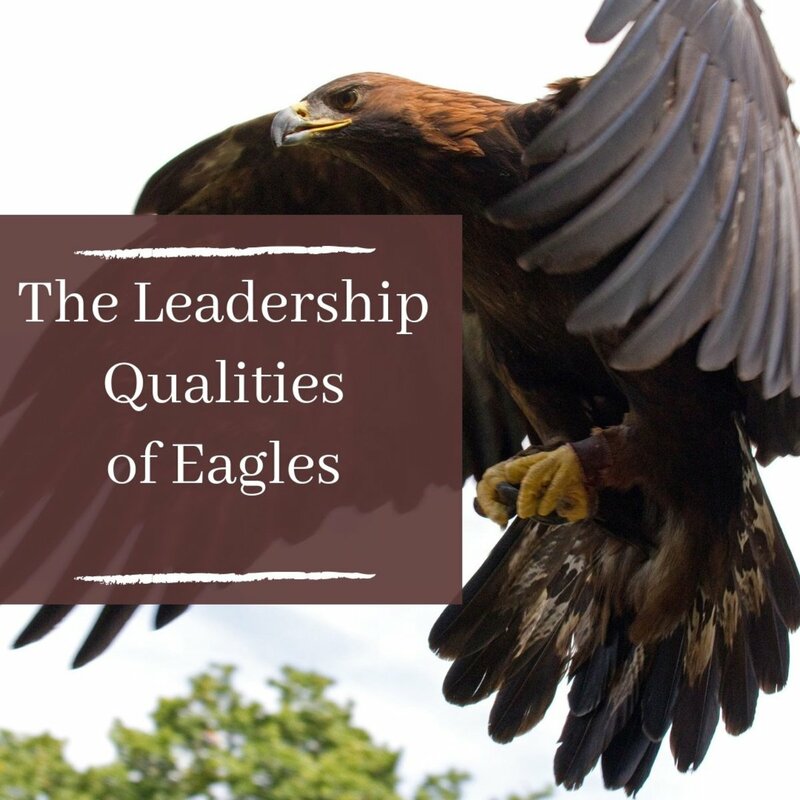 If you are implementing 5S within your organisation then there are a couple of items that I can recommend that you use to maintain the awareness of your staff within your organization. The first are posters, you can purchase well thought out posters that can be located in areas where they will be seen when your staff are discussing 5S and other improvements. Placed in meeting areas rather than stuck on noticeboards hidden in corridors and corners these act as handy reminders when discussing improvements and problem solving. The pocket guides are very useful, containing all of the information about 5S on a handy pocket sized card that you can refer to easily. I worked in Japan and during our daily meeting we all recite the 5s everyday but don't understand everything because it's in japanese. Now I found the translation I will apply 5S in our business in the Philippine soon as I get back for good. This is actually very very simple to do, in it's simplest form it just about throwing away the junk and organising what you really need in an efficient manner.. So if you did this at home it would be about putting all of the coffee and tea things close to the kettle with the cups so that you don't have to go to multiple locations to get everything..
Pans and knives where you prepare the meat and vegetables etc..
On the whole it is common sense, the power in the tool is the methodical way that you go about it..
From what I see here, this looks to be a great system, and one I would love to try out at home, if I could; but it is way far above me - in the extreme, I have to say. I'll need to come back to this, read it multiple times, and see whether I can gain any lasting inspiration from it!